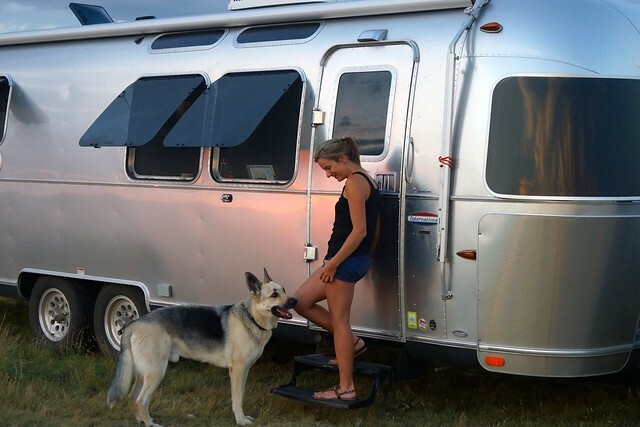 We moved into our Airstream on September 17, 2013 in New Jersey after driving – #all3 – from Iowa. Since that day we spent 393 days on the road, 78 of which were in Kansas, sold our house, overnighted in 19 states, moved 78 times, towed 20,049 miles and kept the water running between -14F (-26C) and 100F (38C). Despite my groans, it never went to a dealer for repairs, which is something of a testament. On October 15th, 2014 we ended where we started. Ended? Well there is some news. In October we bought a new home in Iowa, half a mile from our old home but very different: a nice new townhome with no exterior maintenance. No grass to water, no snow to shovel. So without maudlin we have concluded the biggest adventure of our lives. I could go on about why we returned to home ownership. In the end I’d sum it up very plainly: this is an adventure best experienced without a “real” job. We reserve the right to restart again some time in the future. What now? We will keep our Airstream, enjoying it rather like it was designed to be enjoyed. We hope for many more years of joy with it – recreationally. Meanwhile, our work and day-to-day life will not require worrying about frozen pipes, laundry or propane. Or having to wash dishes. For now I don’t anticipate updating this blog. Continuing would turn it into a series of Airstream “how tos,” for which there are the Airstream forums. Or it might wander off into a general journal which was never our intent. There are posts I had planned but have not yet written. Data collected and not shared. Despite great temptation otherwise, I’ll let it be as it stands now. I do plan to leave this blog online. Perhaps it will be interesting to others. The same with our Twitter feed. I suspect we will continue to update Flickr with new Airstream adventures. If you’d like to reach out, please do. We’d love to meet you.